There are many apps and software available to connect and control desktop pc in android phone or tablet. 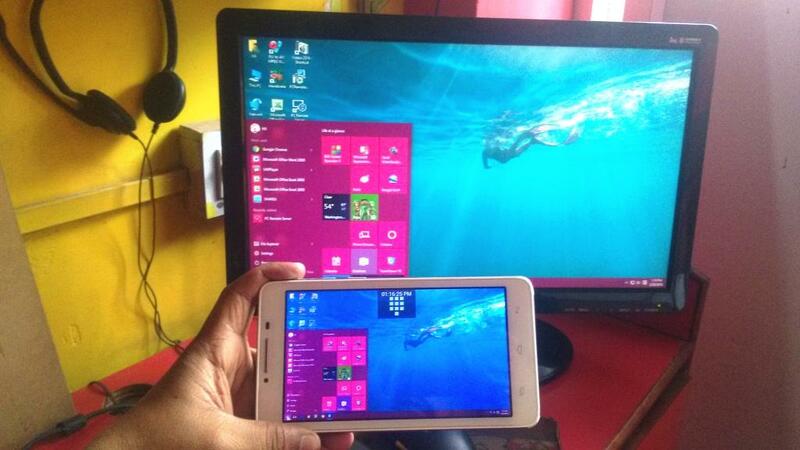 But here I am using very easy and best way to control desktop via android phone phone. 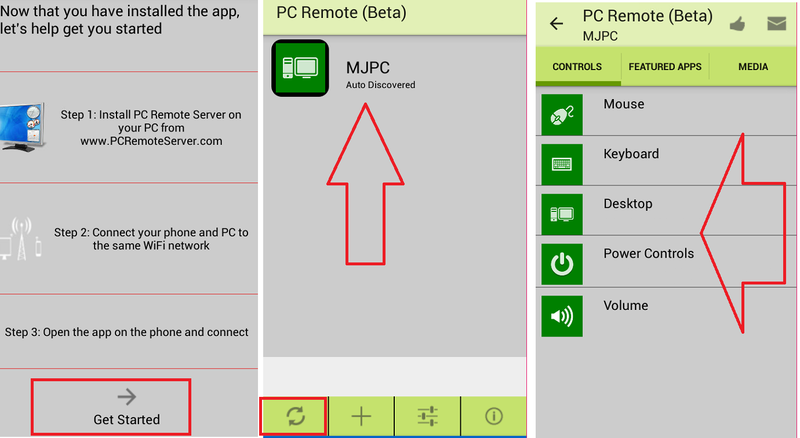 Just you need to download and install the apps “PC Remote (Beta)” for Android phone and “PC Remote Server” for desktop PC. Let’s see how to do this. 2. In desktop PC go to google and search for “PC Remote Serve” go through first link, download and install PC remote server in the desktop pc. 3. Open the “PC Remote Beta” in the phone and the same time launch “PC Remote Server” in desktop. 4. In the phone, tap on “Refresh” button you will get available pc on your phone screen, just top on that to connect, after connect you can remotely control your desktop via phone. how to connect pc and phone to same wifi network? ?